Expert Range Hood Repair Services & Kitchen Exhaust near you, serving the Greater Houston Area. We fix all Major Brands. For example, we repair Wolf, Viking, Thermador, dacor, Zephyr, Gamut, Eagle, and much more. In short, whether you own a Copper Range Hood, a Wall Mount Hood, or an Island mount Range hood that require services, we fix the all. Range Hood Repair is more likely to happen because a Ventilation hood is a hard working appliance. Ventilation Hoods undergoes lots of deterioration from the grease and also from fumes as a result of cooking in your kitchen area. For this reason, it’s vital to keep this significant home appliance in tip-top shape for the protection of your kitchen area — also, the safety of your home. 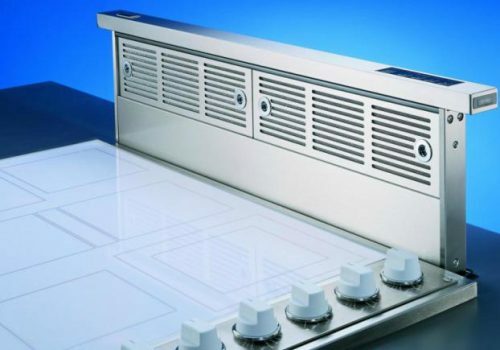 Here, at Houston Appliance Home Services we understand just how crucial this device is to your kitchen area and are readily available around the clock for any emergency requiring Range Hood Repair. Furthermore, our professionals are trained and also accredited to correct any troubles you might have with your range hood. In any case, call us now and grant us the opportunity to help you with your Range Hood Repair. In summary, not all hoods are designed to take your kitchen area air outside your home. Some Exhaust Hoods only have the task of distributing the air. If you are unclear which sort of Ventilation System you have, do not think twice. Ask the experts at Houston Appliance Home Services. For the time being, we’ll make sure to let you know whether your hood is doing its work. Moreover, for vent-type hoods that are failing to blow your air outside, our specialists will examine what might be the reason. Whether it’s a fault in the fan, the air ducts, or the electric motor, our experts will fix it. Does your range hood run non-stop? First, If your hood consistently runs even if it’s in the off mode, it’s most likely you have a blocked filter. Because of all the oil coming up from your stove. So, call us as soon as you observe this taking place so that your fan doesn’t continue to overheat. Moreover, continuous operation may cause permanent damage to your system. Not only is this included grease may cause your machine to turn off all of a sudden. But it’s also not allowing for complete possible flow. Hence, your kitchen is getting smellier and also dirtier than you ever planned! In brief, these are merely a few of the disorders your hood may encounter. The meanwhile, give us a phone call to address some of your concerns. Furthermore, we will indeed supply some suggestions on how you can maintain your hood in a far better manner. In short, we want to make sure that a few of these problems are taking care of immediately. Finally, whether you own an updraft ventilation Hood or a downdraft Range Hood that requires immediate attention, give us a call.In any case, get in touch with us today at Houston, Texas Appliance Home Services for any kind repair, Service or maintenance requirements! Kenmore, Kitchenaid, Braun, New Tone Whirlpool, and Maytag. General Electric, ,Bertazzoni, BOSCH, and GE Monogram. Samsung, LG, Dayton, Universal and Haier.